No. 5 Santa Margarita had its most productive outing in over six years on Saturday, beating No. 18 Mater Dei 20-8. It was the first time the Eagles have put 20 points on the board since they did against the Monarchs in March 2009. The win keeps the Eagles one game behind J Serra in the Trinity League race. Freshman Quentin Buchman (5 goals, 2 assists) continued his breakout season with a seven point game to lead the Eagles. Logan Dochterman and Andrew Kofoed (Notre Dame de Namur) both had four-goal outings. Zack Taylor (2g, 1a), Joseph Fice (1g, 2a), and Shane Cobb (1g, 2a) all had tallied three points. 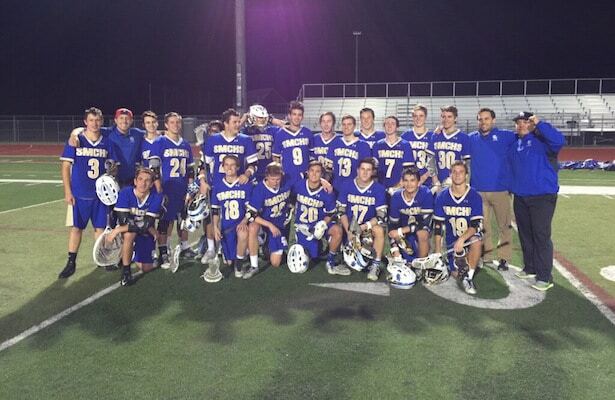 Grant Telenko and Nick Parrino both scored their first varsity goals to complete the Santa Margarita scoring. Next up: The two Trinity League foes complete their extended doubleheader when they play again on Tuesday.